My Statesville, NC law firm focuses on several different practice areas, including family, criminal, disability, traffic, and personal injury law. When you are facing a legal issue, you want to work with a law firm that can defend your legal rights while also keeping you informed about what is occurring with your case throughout its duration. I am W. Sloan Goforth, Attorney at Law, and I believe that my law firm meets all of these requirements for several reasons. My law firm focuses on several different practice areas, including family, criminal, disability, traffic, and personal injury law. Whether you need an attorney who can fight for your rights to fair and proper compensation after a traffic accident or an attorney to help you as your property is divided during the divorce process, you can rest assured that I will provide you with competent, professional, and client-focused assistance. Secondly, I am an experienced educator. While I formerly worked in a high school setting as a teacher, I now use these skills in trials and negotiations as I present complex legal scenarios in an understandable manner. Lastly, my law firm uses technology to meet the needs of our clients. When you turn to us for assistance with a legal issue, we will provide you with access to the secure online portal that we use to communicate and share crucial information with our various clients in the Statesville, North Carolina area. I am more than happy to further discuss why you should turn to my law firm for legal assistance. Contact my firm today to set up a time to receive a free consultation. 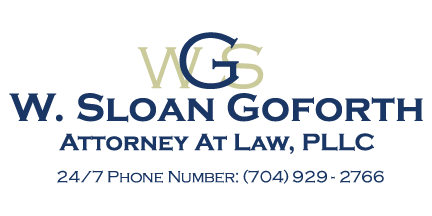 At the office of W. Sloan Goforth, Attorney at Law, our law firm proudly serves residents of Statesville, Troutman, Taylorsville, Mocksville, Mooresville, Hickory, Iredell County, Alexander County, and Davie County, North Carolina.